His stunning innings, nonetheless, helped Sunrisers post a massive total of 181 for 3 in the stipulated 20 overs. David Warner and Sunrisers Hyderabad are perhaps a match made in heaven. The former Sunrisers Hyderabad captain donned the Orange jersey of the team on Saturday for the first time in two years. Warner had missed the last edition of the league after the BCCI banned him from playing in the IPL in the aftermath of the ball-tampering scandal. Cricket Australia had banned Warner for a year and BCCI had then imposed its own sanction. 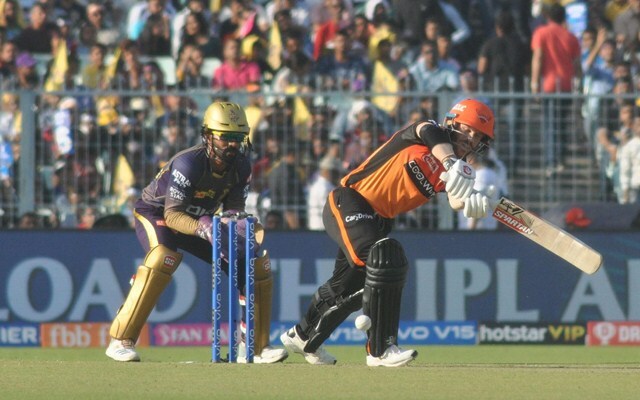 However, the two-year absence, as well as the recent return from an injury layoff, made little difference as Warner hit the ground running with a sizzling fifty against Kolkata Knight Riders at the Eden Gardens. The left-handed batsman scored 85 off just 53 deliveries with the help of 9 fours and 3 sixes. He laid the foundation for a big total by sharing 118 runs for the first wicket with Jonny Bairstow. During the course of the stand, he reached his fifty with a six and was looking set for a well-deserved century. However, he failed to keep his drive on the ground and missed his ton by just 15 runs. His stunning innings, nonetheless, helped Sunrisers post a massive total of 181 for 3 in the stipulated 20 overs. But while Warner looked at ease throughout his knock, he admitted that he was nervous before the game. Warner also achieved a couple of personal milestones during his knock. He now has the most fifties in IPL after scoring his 37th fifty in the league. He also became the first overseas player to score 700 runs against the Knight Riders.